The Carolina Hurricanes returned from the NHL’s league-wide holiday break Thursday night to face the Washington Capitals in D.C. It was not pretty as the Capitals beat the Hurricanes 3-1. What is compelling about the Hurricanes is not that they lost or that they lost on the road, but that they looked so lethargic…again. 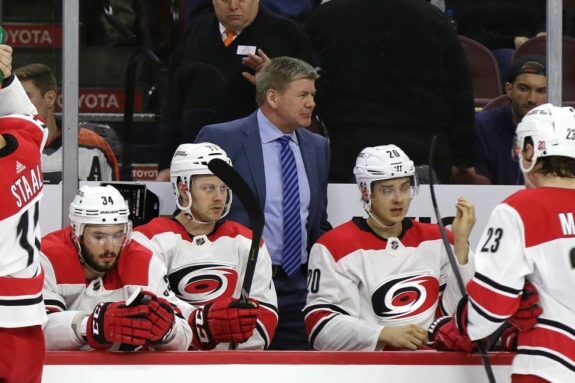 One of the most reiterated and frustrating points when former head coach Bill Peters was at the helm was the constant “we did not start on time” mantra. It was a constant throughout his tenure with the Hurricanes and never made any sense. It was an inexcusable characteristic of the team in 2014-15, and in Jan. 2018 it was still the albatross around the team’s neck. “You got to give yourself a mental break, and then you’re going to have to wrap your head around the identity of our team and how we have to play to be successful,” Peters said. “The nights that we’re not the hardest-working team, and I don’t know our record, but it wouldn’t be flattering. 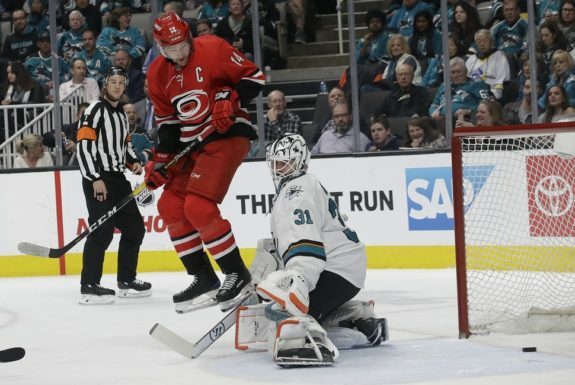 So, if we’re not going to wrap our head around the fact that we have to start on time, each and every night, and outwork our opponent, then it’s going to be a frustrating second half.” (From “After Dismal Loss and Aho Injury, Canes Deed to Do Some Soul-Searching During the Break,” – News & Observer – 1/4/18). Can anyone explain how highly paid athletes, most of whom by nature are highly competitive or they would not be playing at the professional level, can “not start on time?” It’s a ridiculous thing to admit by a coach or players that slow starts are a characteristic of their team. Yet time and again during Peters’ tenure, the Hurricanes went out and started a game flat and lethargic with no sense of urgency. They had the same break. I think we just weren’t ready to go like we needed to be. That’s on me. I saw it and talked about it, but I should have done something different. I don’t know what, but we were not ready to go like we needed to be against that team at this time of the year. Unfortunately, that statement is glaring in its implications. The team was not ready and the coach did not know what to do about them not being ready to go. Perhaps “I don’t know what” is not something a head coach should be saying, especially one in his first gig. 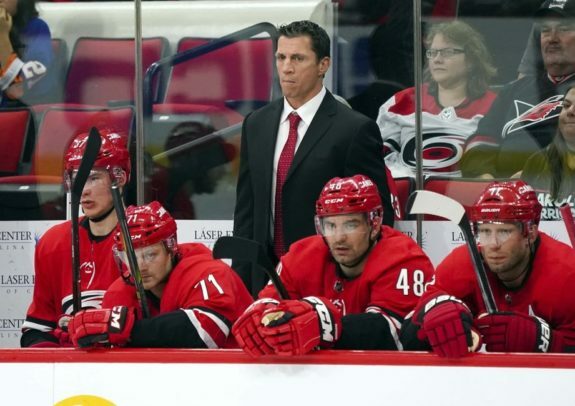 Brind’Amour is learning the nuances of being a head coach in the NHL as he goes. But there is no sense in giving critics fodder by admitting when he is in a situation that for which he has no answer. The Washington Post had this opening paragraph to describe Thursday night’s contest: “After four days off — three without practice — the Washington Capitals shook off some expected rust Thursday night in one of their most balanced performances of the season.” (From “Carlson, Oshie Lead Caps to 3-1 Win Over Canes,” – Washington Post – 12/27/18). Rust from the break was to be expected for the Capitals as well as for the Hurricanes. That is normal. But winners shake it off. The Capitals did just that while the Hurricanes did not get going until late in the game and lost as a result. The bottom line is that there is a systemic problem in the culture of the Hurricanes. It reared its ugly head under Peters and is still embedded under Brind’Amour. Many thought that naming Justin Williams captain would eradicate the lethargy. So far that has not been the case. 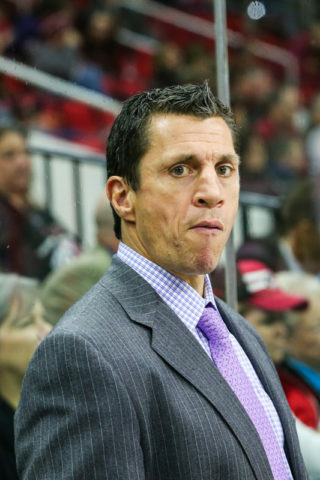 When the season started it was easy to write that Brind’Amour had the team starting on time. They were like the cartoon character the Tasmanian Devil, whirling and buzzing all over the ice. They were shooting and forechecking like it was playoff time. That chaotic brand of hockey has not been seen in some time. What happened? The criticism was that the Hurricanes were just blasting away and not scoring. But, at least they played with more energy and brought it to the opponent every night. Perhaps Brind’Amour needs to bring back the chaos and go from there. Peters is old-school, and extra laps around the rink are right up his coaching-style alley. And, this season he’s not talking about his team not starting on time. His Calgary Flames are winning. The difference is that the Hurricanes, to a man, need to decide that they want to win. It’s gut-check time. It’s “lace ’em up and go like your hair is on fire for 60 minutes” time. If the players cannot summon the energy or the will to win, then nothing Brind’Amour does will matter. The puck is in the Hurricanes’ players’ court so to speak. Will they respond?